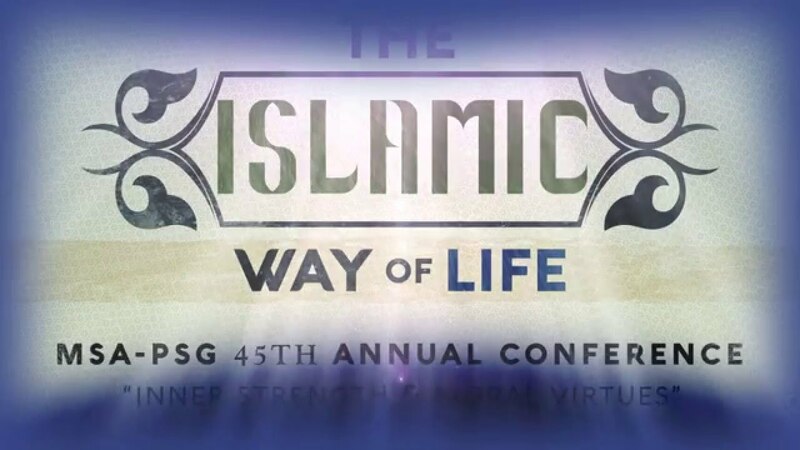 SHAFAQNA – By Dr. John Andrew Morrow – Delivered in Phoenix, Arizona, on Friday, December 23rd, 2016, at the 46st Annual Muslim Students Association – Persian-Speaking Group Conference. In the Name of Allah, the Avenger. Allah is One is Muhammad is His Messenger. Praise be to Allah, the Creator and Sustainer of the Universe, and peace be upon his Prophet, Muhammad the son of ‘Abd Allah, and upon his purified progeny. Takfirism begins and ends with Satanism. It begins with an act of rebellion and an act of defiance against the Creator. It begins with Any khayrun minhu or “I am better than he” (38:76), the wicked words of the wicked one, the cursed one, the one who defied the Divinity out of jealousy for humanity. Takfirism begins and ends with Satanism. It begins with a believer, Iblis, a jinn who was raised and educated by angels, and who worshipped Allah for over five thousand years. Iblis believes in Allah. He has knowledge of certainty of Allah. How can he not? Iblis believes in the Prophets of Allah. He knows that Adam is the Prophet of Allah. He knows that Abraham is the Prophet of Allah. He knows that Moses, Jesus, and Muhammad are the Messengers of Allah. Iblis believes in the Imams of Allah. He knows full well that Allah appointed Twelve Imams after Muhammad ibn Abd Allah. There is more to belief than acknowledging that something is true. You need to have confidence in it. You need to place trust in it. Belief is m‘arifah or knowledge. Iman; however, is not mere belief; it is not mere faith. Iman is an expression of amanah or trust. It is to believe in God, have faith in God, trust in God, and submit to God. A mu’min is a person who has iman; who has faith and trust in God. A Muslim is one who submits to God. It is possible to be a mu’min, a believer in God, without being a Muslim. Likewise, it is possible to be a nominal Muslim without really being a mu’min. A kafir is not necessarily an atheist. Kufr comes from the root KFR which means to conceal and to cover up. It is the denial or rejection of something that is evident. A kafir is someone who opposes the Truth. A munafiq is not simply a hypocrite. Nifaq derives from nafaq, the tunnel or burrow of a rat: the escape route. The munafiq is one who undermines Truth. A fasiq is not simply an open sinner. The word derives from fisq which means “breaking an agreement” or “to leave or go out of.” The term fasiq is not only associated with breaking the law; it is broadly associated with kufr or concealing the truth. To understand Takfirism, we need to understand this terminology. We need to understand that the simple profession of La ilaha ila Allah / Muhammadan Rasul Allah does not suffice to make one a real mu’min or a real Muslim. We need to understand that a person can proclaim that there is no God but Allah and Muhammad is his Messenger while being a kafir, a fasiq, and a munafiq. In Islam, one is not saved by faith alone. In Islam, salvation is determined by belief and action; faith and deeds. The beginning of Takfiri ideology traces back to the time of the Prophet and the disrespect shown by Hurqus ibn Zuhayr, known as Dhu al-Khuwaysirah al-Tamimi al-Najdi. When the Messenger of Allah was dividing the spoils of war, he had the audacity to say: “O Messenger of Allah! Be just!” Can you imagine the audacity? Can you conceive of a more egregiously offensive insult? The goal or ‘irfan or suluk is al-takhalluq bi asma Allah wa al-sifat; namely, to acquire the names and attributes of Allah. The Most Beautiful Names of Allah represent a 99-step plan toward spiritual perfection. The seeker strives to adopt a divine attribute. If Allah is Merciful, the seeker strives to become merciful. If Allah is the Loving, the seeker strives to become loving. If Allah is Patient, the seeker strives to become patient. If Allah is Wise, the seeker strives to become wise. In rare instances, a seeker can acquire all the attributes of Allah; thereby becoming al-insan al-kamil or a Perfect Human Being. This is what is called acquired isma’ or infallibility. The Prophets, the Messengers, the Imams, and certain ‘awliyya’ al-salihin, like al-Khidr, for example, were blessed with innate isma’ or infallibility. The Messenger of Allah, Muhammad ibn ‘Abd Allah, was a perfect human being. He was ma‘sum, endowed with incorruptible innocence, immunity from sin, and moral infallibility. In other words, he embodied and manifested all the names and attributes of Allah. So, if Almighty Allah is al-‘Adil, the Most Just, I swear by the Throne of Majesty that Muhammad Rasul Allah was the most ‘adil and just of human beings to walk the face of the Earth. This was not the only encounter the Prophet, peace and blessings be upon him, had with the Takfiris of his time. They were the same people who came to him with sores on their foreheads from prostrating to the extreme in obsessive-compulsive fashion. Some of these people refused to eat meat. Some refused to marry. And some who were married refused to have sexual relations with their wives. The Prophet told them straight out: “Whoever turns away from my Sunnah is not from me” (Bukhari and Muslim). When the Takfiris asked the Prophet how many prayers he did, they said that “it was little.” In other words, they thought that they were better than him. The Messenger of Allah warned Muslims against extremism and extremists. He said: “Do not be extremists” (Bukhari). He said: “Beware of extremism in your religion for it is that which destroyed the nations which came before you” (Nasai and Ibn Majah). He said: “The religious extremists are destroyed” (Muslim and Abu Dawud). And he said: “There are two groups of people from my Ummah who will not receive my intercession: oppressive rulers, and religious extremists” (Tabarani). The Messenger of Allah, peace and blessings be upon him, was confronted with extremists during his lifetime, fanatics that he himself rejected and excommunicated saying that they did not belong to his Ummah or Community. As the Prophet Muhammad, peace and blessings be upon him, said: “The Kharijites are the dogs of Hell” (Ahmad, Ibn Majah, and al-Hakim). So, when I say that Takfirism begins and ends with Satanism, I am paraphrasing the Prophet, peace and blessings be upon him. So, if you have any problems with what I am saying, you can take it up with him. Takfirism traces back to Kharijism. However, Takfirism also traces back to Nasibism: the hatred of the Household of the Prophet, peace and blessings be upon them all. The enemies of Allah, the Prophet, and Islam adopted various approaches. Some remained openly pagan and fought him physically. Others embraced Islam outwardly but not inwardly: openly antagonizing the Prophet. And yet others embraced Islam openly only to undermine it inwardly. The realized the power of religion, figured that if you cannot beat them you might as well join them, and then started to plot and conspire to usurp power. Some of these sinister characters attempted to assassinate the Prophet in Aqabah toward the end of his life. However, as soon as the Prophet Muhammad passed away, they put their plan into action, the aim of which was to pass power into the hands of the Banu Umayyah. Abu Bakr, ‘Umar, ‘Uthman, and ‘Ali all attempted to implement the teachings of Islam to the best of their abilities. The same, however, cannot be said of the Umayyads and the ‘Abbasids who made a mockery of God, the Prophet, and Islam, and persecuted the Family of the Prophet and their faithful followers. And while they claimed to be Muslims, many of the leaders that followed behaved like polytheistic savages and bloodthirsty pagans. If modern-day Takfirism is rooted in Kharijism and Nasibism, it is also rooted in Salafism, known pejoratively as Wahhabism. It was the Messenger of Allah himself, peace and blessings be upon him, who foretold this modern manifestation of Takfirism. In fact, he warned his followers that the Horns of Satan would rise from the Najd (Bukhari), the very region in Arabia where the Wahhabi heresy took hold a mere two hundred years ago. A man by the name of Muhammad ibn ‘Abd al-Wahhab surfaced in the Najd in the 18th century. His stated aim was to “purify Islam” by following the “pious predecessors.” A literalist and fundamentalist, with no scholarly credentials of any kind, he declared that Sunnis, Shiites, and Sufis were all polytheists whose blood, property, and women were halal. As you can imagine, this is a very appealing ideology for criminals, murderers, thugs, thieves, misogynists, rapists, and all-round psychopaths. Although it would take hours to expound upon the theological errors of these evil-doers, it boils down to the following: Salafism is extremism in thought and action. If the Khawarij ever gained power, they would corrupt the entire earth, Iraq, and Syria. They would not leave alone a boy or a girl or a man or a woman, for in their view the people have become so corrupt that they cannot be reformed except by mass killing. I knew the early period of Islam. By Allah, the Kharijites never had a group except that Allah caused it to split due to their evil condition. Never did one of them proclaim his opinion except that Allah caused his neck to be struck. Never did the Muslim nation unite upon a man from the Kharijites. If Allah had allowed the opinion of the Kharijites to take root, the earth would have been corrupted, the roadways would have been cut off, the Hajj pilgrimage to the sacred house of Allah would have been cut off, and the affair of Islam would have returned to ignorance until the people would seek refuge in the mountains as they had done in the time of ignorance. If there were to arise among them ten or twenty men, there would not be a man among them except that he would claim the Caliphate for himself. With each man among them would be ten thousand others, all of them fighting each other and charging each other with unbelief until even the believer would fear for himself, his religion, his life, his family, his wealth, and he would not know where to travel or with whom he should be. The Kharijites surfaced during the time of the Prophet. They supported Abu Bakr and ‘Umar; however, they opposed ‘Uthman. They tried to assassinate both Mu‘awiyyah and ‘Amr ibn al-As despite the fact that they themselves were Takfiris. They succeeded in murdering Imam ‘Ali. They continued to revolt and rebel for centuries during Umayyad and ‘Abbasid rule. In North Africa, they waged war against the Adarisa, the Idrisids, the great-great-grandsons of Imam al-Hasan who established the first Shiite Dynasty. Although the Kharijites and the Nawasib were two opposing groups during the early Islamic period, the Salafi groups that surfaced over the past two centuries have combined elements from both. Takfirism is a mutant monster that combines elements from Kharijism, Nasibism, and Salafism. Many of them have also spiced up their psychosis with ideas inspired from Socialism, Nazism, and Fascism. Many of their practices remain profoundly pre-Islamic and pagan. From the time of the Prophet to the present, the Takfiris have been, wittingly or unwittingly, at the service of the enemies of Islam. Many historians believe that the revolts that took place after the passing of the Prophet were supported by the Romans or the Persians to destabilize the nascent Muslim Ummah. We know for a fact that the British used Wahhabi terrorists to destabilize and ultimately destroy the Ottoman Empire. We know for a fact that the British, the French, and the Germans enlisted to Takfiri terrorists to support their geo-political designs during the First and Second World Wars. We know for a fact that the Americans trained, funded, armed, and supported Takfiri terrorists in Afghanistan, Chechnya, Bosnia, and Kosovo in the 1980s and 1990s as part of their proxy war against the Russians. We know for a fact that the French supported the GIA, the Armed Islamic Group, in Algeria, to discredit the democratic election of the FIS, the Front Islamique de Salut. We know for a fact that the Americans are supporting Takfiri terrorists in Central Asia to antagonize both Russia and China. We know for a fact that the Americans have supported Takfiri terrorists in Libya to overthrow Qaddafi. We know for a fact that the Americans have been training and supporting Takfiri terrorists operating in Egypt, Iraq, and Syria to destabilize or overthrow various legal and legitimate governments. So far from defending Islam from the infidels, Takfiri terrorists have a long history of serving as the catamites of the enemies of Islam. They are not mujahidin: they are mercenaries; death squads at the service of the Empire; pawns in the geo-political plans of the one-percenters and occultist globalists; and false flags in a spiritual and civilizational conflict with cosmic consequences. There will emerge from the east some people from my nation who will recite the Qur’an but it will not go beyond their throats. Every time a faction of them emerges it will be cut off. The Takfiris are not preparing the advent of Christ: they are the torchbearers of the Anti-Christ. Tell the Muslims! Tell the Christians! Tell the Jews! Tell the secular liberals! Tell the world! Takfirism begins and ends with Satanism.